Home Auto Tips & Guides What Is the Need of Professionals for Car Repairs? What Is the Need of Professionals for Car Repairs? Do you own a car and you drive it on regular basis? If yes, one thing that you need to know is that car is one of the major investments. It is obvious that you might have spent lots of dollars or you might still be repaying the car loan. Hence, it is crucial that your big investment is protected with proper repairs and maintenance services. A very good reason why repairs should be handled by a professional mechanic is that they are well experienced. Due to this, they know what repairs need to be done. When you try your hands on repairing without any kind of experience it can lead to more harm. Rather than spending additional cost on repairs, it is good for you to take the car to the expert mechanic who can tackle the problem appropriately. 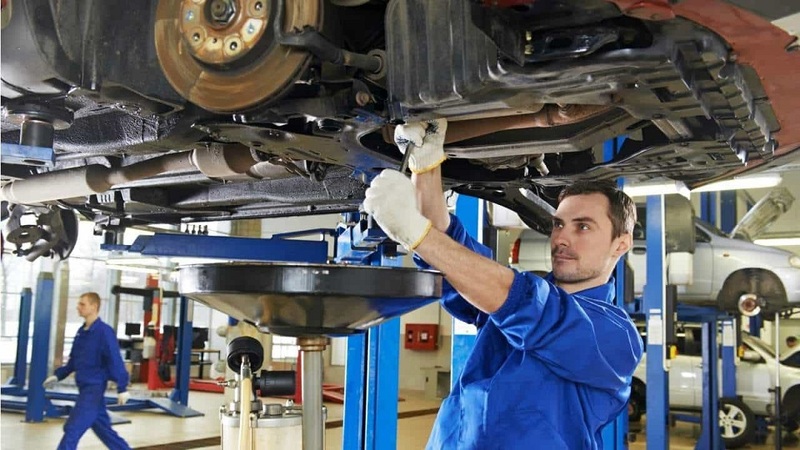 If you try to do the repairs you will struggle to get the tools required for fixing the problem, however, the professional mechanics will have the right kind of tools for carrying out the car repairs. Today, lots of modern cars are available which require specialty tools to get the repairs done. When the correct tools are not used, the car can get more damaged which can prove to be expensive for you. Also, purchasing these kinds of tools can be a bit expensive. There are some of the automobile repairs that possess high personal injury risk. However, when you hire expert mechanic this risk will not be on you. These experts have the knowledge on how to tackle the risk. They will be able to carry out the repairs without any kind of mistake and hurting. One thing that you need to know is that lots of automotive parts are not covered under warranty if they are not installed by a professional mechanic. In such case, it is good to hire a professional mechanic to install the parts. On top of that, professional mechanics offer a guarantee of the car repairs done by them. Hence, if there is any problem you do not require spending money again. One thing that you need to know is that vehicles are one of the complicated machines. When you call an expert mechanic to carry out the repairs, the mechanic will not only do the repairs needed but will also check the other parts. The mechanic will assess the complete condition of the car. With this, the mechanic can determine if there are any other issues in the car. When such problems are diagnosed beforehand it helps in saving lots of money in future. These are some of the reasons why you should consider hiring a professional mechanic to get the car repairs done. Just make sure that you hire the mechanic who is trustworthy and reliable as it is only then you will be able to get best services from them. Hence, check reviews before hiring a professional mechanic.